Daily Mirror - Will there be the fragrance of flowers along Parliament Road? Will there be the fragrance of flowers along Parliament Road? There was a time in Sri Lanka when the elite and the poorest of poor steered clear of politics. These two segments of the society couldn’t be influenced by the agenda of others and the secret of their ‘stability’ in thinking was the fact that they had formed contentment in life. But the elite have changed now and members from this section of the society feel the need to stand up and throw their weight behind moves that support democracy and human rights in the field of politics. Politicians have always preyed on the middle class and forced them or lured them into taking to politics or doing the dirty work for them. But even in this segment of the society there are changes which augurs well for the future. A son of an SLFPer might team up with an UNPer, a chain-smoker’s son might never touch a cigarette, a farmer’s son might see better prospects outside the paddy field and a Mahinda Rajapaksa fan might see a better future for the country in the event there is a better organised UNP. However, politicians are not fans of change when people change for the better. Which is the correct way to live? The present political crisis in Sri Lanka has brought the elite and the middle class to a platform where there is a debate now going on as to what is good for Sri Lanka. A privileged Buddhist monk in the island said recently on television that he fancied foreign forces imposing sanctions on Sri Lanka because that would make the country’s citizens work harder. 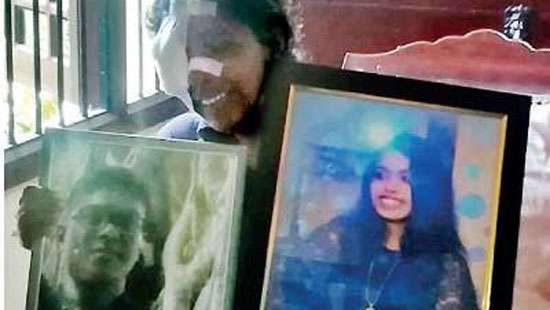 Many who support the opinion of the priest don’t give a damn to what image Sri Lanka builds within the international community and the repercussions that follow. Cardinal Malcolm Ranjith came under fire recently for making the statement that there is no need for human rights if the people live in a correct manner. There seems to be much confusion about what is the correct way to live given that Sri Lanka is a multiethnic and multicultural country. President Sirisena thinks it was right in sacking Ranil Wickremesinghe as Premier and appointing Mahinda Rajapaksa to fill the void. This move earned the wrath of academics, a large section of the middleclass and most importantly almost the entire international community. The only country to congratulate Sri Lanka’s new premier was the island’s business partner China. Isn’t this enough indication that Sri Lanka is on the path once again to isolate itself from the world’s developed countries; like during the Rajapaksa regime? The world’s democratic forces are urging Sri Lanka to reconvene Parliament. 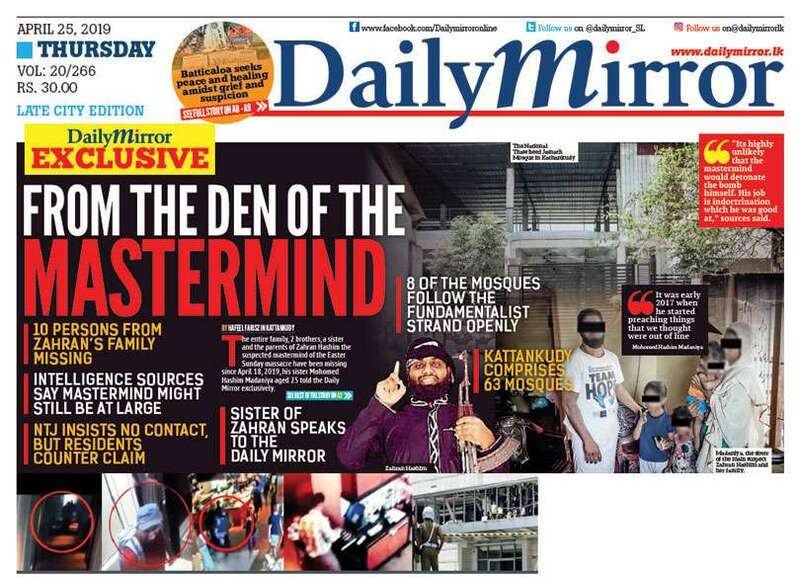 This could be one of the reasons why President Sirisena issued a proclamation to reconvene parliament on November 14. According to sources the UNP can still muster the support in Parliament to bring a no-confidence motion against the new Premier Rajapaksa. What people of this country have to be concerned about is the unpredictable nature of Sirisena. The u-turns he has made in his political career make us view him with skepticism! Just now we are celebrating Dewali, but there is only a faint light all-round in the country in the presence of the chaos caused by the unhealthy political situation. By next month we’ll be getting ready for Christmas followed by the ushering in of a new year, in January. December is the month for analysing; a time to look back and see whether we gained or lost. One thing is for sure; our politicians have gained so much at the expense of the voters (the people). According to sources the UNP can still muster the support in Parliament to bring a no-confidence motion against the new Premier Rajapaksa. On Monday (October 5) the support rally backing Rajapaksa and held at Parliament round about drew large crowds. UNP critics point out that Rajapaksa can still draw larger crowds than Wickremesinghe at a political rally. Canteen owners and tuk tuk taxi drivers slashed their prices in support of Rajapaksa being sworn in as prime minister. Even the trees along Parliament Road are greener these days, thanks to the showers which we receive in abundance. 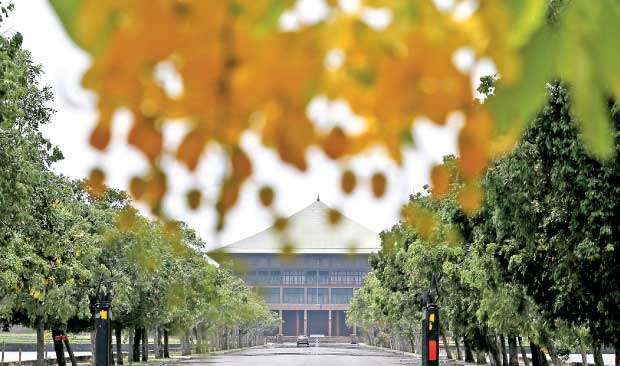 Everything from the trees to the small man on this road seems to greet this man called Rajapaksa, who has got another lifeline in politics after he was voted out in 2015. But whether he has the same support in his second home, the Parliament, is left to be seen. Many feel that the chances of the scale now tilting in Rajapaksa’s favour are slim because the JVP, the Sri Lanka Muslim Congress and TNA teaming up to support democracy and fair play will once again make Wickremesinghe the winner by default. If one looks back, Wickremesinghe has never sweated for the premier’s post and has been presented with this portfolio on a platter. The TNA reps, like all the right thinking citizens of this country, have voiced that ‘remaining neutral at this juncture would pave the way to achieve what’s undemocratic by force’. President Sirisena chairing an SLFP Central Committee meeting has requested party members to cooperate with him to form a stable Government. Anyone supporting anything that’s Sirisena from now on would endorse all the wrong decisions taken by this man. Speaker Karu Jayasuriya claiming that he is compelled to accept the status quo prior to October 26 has the effect of oxygen on democratic forces in the island who are gasping for fresh air. The debate whether Sirisena is to blame or whether Ranil buckled the plans for the country has gathered momentum on social media. One recent post said, ‘Ranil is not an option, Mahinda is a chance’. This writer opines that only women ask men to take their chance on them in the context of marriage. This system doesn’t work in politics. Many liken the Wickremesinghe- Sirisena ‘affair’ to a marriage that never clicked. Wickremesinghe’s sophisticated thinking and Sirsena’s nature to place his feet on the ground and walk along with the common man caused a gulf between the two which later triggered a political tsunami. Sirisena at Monday’s rally said that the country’s decisions were taken by Wickremesinghe and his flutter of butterflies; taking swipe at the ousted premier’s allies engaged in politics. Three years ago he saw much fault in Rajapaksa and called him a dictator. How this man changes his opinion like this questions the decision taken by those who proposed him as the common candidate at the presidential elections in 2015. Sirisena revealing he first made the offer to Karu Jayasuriya and then to Sajith Premadasa to be the Premier and adding that the duo turned down these requests confirms that the UNPers saw what was wrong as wrong rather than as opportunities. UNP national organiser Navin Dissanayake said the other day that ‘people must stand together for a democratic and disciplined country’. If this country lacks anything it’s discipline. The road that leads to Parliament from the road-about close-by will be all green and luscious and might even bloom with flowers. But whether the Parliamentarians who travel on this road will have ‘large hearts’ that release the fragrance of flowers is left to be desired!